We left Vancouver for London, England on Friday, July 9 at 8:30pm. We arrived at Heathrow Airport Saturday, July 10 at 1:40pm. Having to sit upright for ten hours on a plane is always an arduous task. The weather is hot (28’C) and sunny. Quick itinerary, just in case you are interested; Stay in London for three days, leave for Dover on Tuesday, July 13. Stay in Dover for as long as it takes. My tide window is from July 16-24. Best scenario would be to swim early that week and have the rest of the time to travel. We will do our best to keep you updated before, during and after the swim! 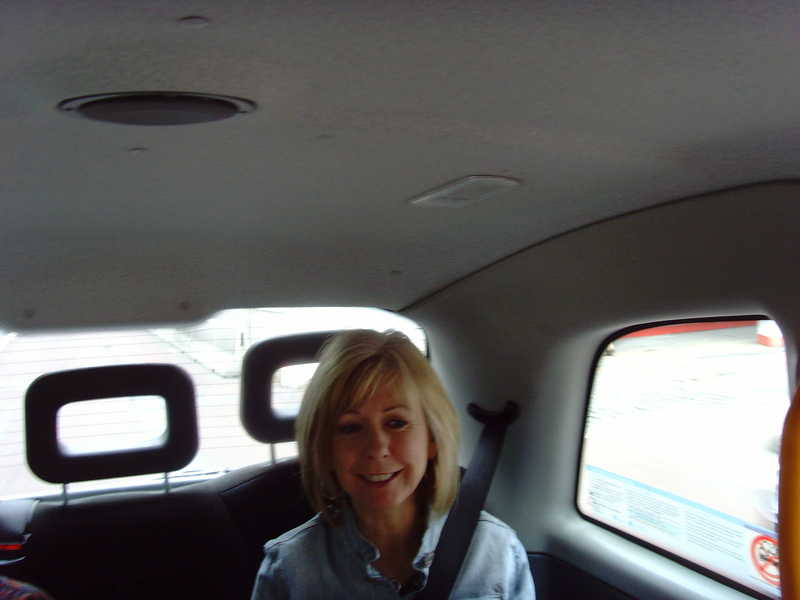 After we landed in Heathrow we ended up taking a London Cab to our hotel. We were bound and determined to stay awake at least until post dinner as we wanted to beat the jet lag as best we could. 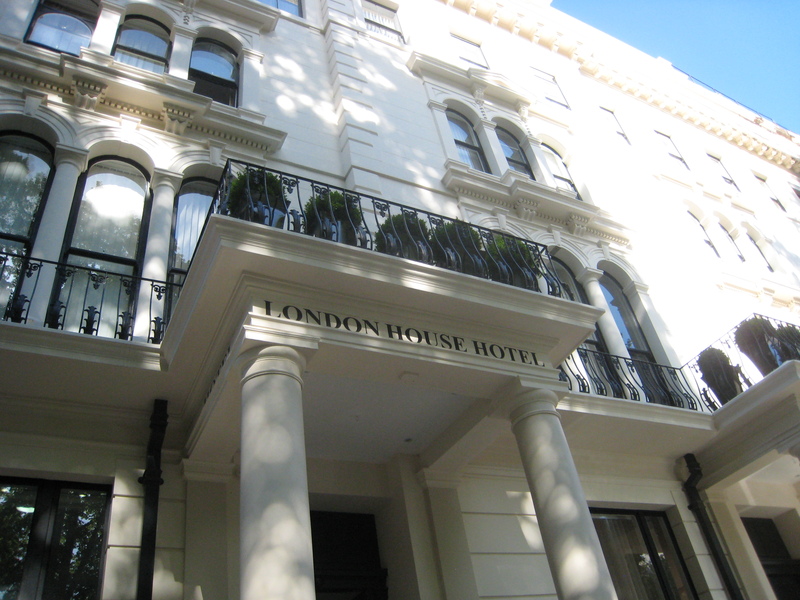 Our hotel is situated very close to Hyde Park and the Serpentine Lake, where they actually have a swim club. Hyde Park is huge with great sights including the Kensington Gardens, King Alberts Memorial and Speakers Corner. Fill me in people! we just moved mittens into the house. she is thriving and telling abby where she stands on the totem pole…which is the bottom. anyways call or email me or something. Hi honey, we arrived safely, but really tired! �Only slept for about 1/2 hour intervals on the plane. �When we got here we felt we needed to do something right away, so we went to Hyde Park. Little did we know how BIG it was! Well we did, but we got a little side tracked and wandered and wandered, walked all around the Serpitine Lake, got a little lost, we ended up walking for a few hours, after no sleep on the plane, so we went to bed at about 8:00 London time. Today Rod swam in the really cool public pool. In a super old bldg, tons of character. After that we had breakfast, then went back to the hotel, and NAPPED!!!! �We we woke up we were going to the British Museum. When we got to our lobby, we ran into our friends who are coming to the Channel with us. It was great catching them. They came to the museum with us. �Tonight we just had a casual dinner at the Banana Tree, you would have loved it, Rod had curry, I had Pad Thai. Going to bed early again tonight so Rod can go swimming tomorrow at the pool at 6:30 am. Then we are going off to see some sites. � Oh, guess what, CBC Radio is calling Rod at 2:10 London time tomorrow for an interview over the phone! Can you believe it! �So we have to be back to our hotel by then. After that we’ll head out and do more touristy things. Rod just got his email up and running tonight, that is why I haven’t gotten ahold of you earlier. Have a great time, and email often. We are thinking of you, good luck with the swim. Enjoy the tours of London. Rod!!!! Best of luck sounds like it’s gonna be a great experience. You gotta check out the historical war museum in London. They have over 100 hand granades on display, most resembling minature pineapples. mmmmmm. I was driving down Queens on Friday at 8:40pm and saw your flight moving over Howe Sound. What a feeling! CBC’s website reports that 29-year-old Kristen Roe of Halifax will be attempting to swim the Channel between July 19 an 27. Go Canada! Enjoy every moment in and out of the water! A friend phoned this morning at 6:00 am to tell us that you were to be interviewed on CBC Radio. We were thrilled. The interview went very well. Rod you were relaxed, articulate, informative. We wish we could be in Dover to watch you enter the Channel. Perhaps next time. The anticipation on this side to hear successful news is all-consuming. After your performance in the Georgia Strait the Channel should just be a ‘walk-in-the-park’. City Hall is a buzz with anticipation of celebrating with you! Keep us posted so we can send our strength and good jokes to you over on that side of the pond as you swim. Enjoy every moment of this! !